MedicineBall*: Harvard School of Public Health steps up to the Plate. 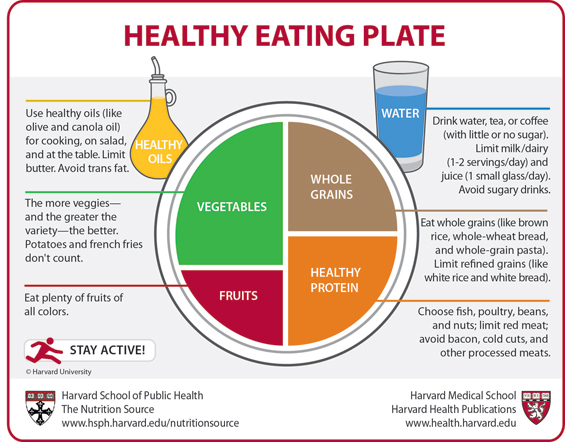 First published in October of 2011, this post announced a Q&A on line with Harvard’s Eric Rimm to answer question about the School of Public Health’s new “Healthy Eating Plate,” its own version of nutritional recommendations to compete with the USDA’s MyPlate. A rather limited window of one hour was allotted for the entire country to phone in our questions. Unfortunately HSPH was not as good at telecommunications as it is at epidemiology and the connection did not start working for a while. The questions that I wanted to ask, however, still stand and this post is a duplicate of the original with the notice about the Q&A removed. Harvard has been invited to participate in a panel discussion at the Ancestral Health Symposium, and we will see how these questions can be answered. — adopted from Pops (at Louder and Smarter), the anonymous brilliant artist and admitted ne’er do well. One of the questions surrounding USDA Nutrition Guidelines for Americans was whether so-called “sunshine laws,” like the Freedom of Information Act, were adhered to. Whereas hearings were recorded, and input from the public was solicited, there is the sense that if the letter of the law was followed, the spirit was weak. When I and colleagues testified at the USDA hearings, there was little evidence that their representatives were listening; there was no discussion. We said our piece and then were heard no more. In fact, at the break, when I tried to speak to one of the panel, somebody came out from backstage, I believe unarmed, to tell me that I could not discuss anything with the committee. Harvard School of Public Health, home of “odds ratio = 1.22,” last month published their own implementation of the one size-fits-all approach to public nutrition, the”Healthy Eating Plate.” Their advice is full of “healthy,” “packed with” and other self-praise that makes this mostly an infomercial for HSPH’s point of view. 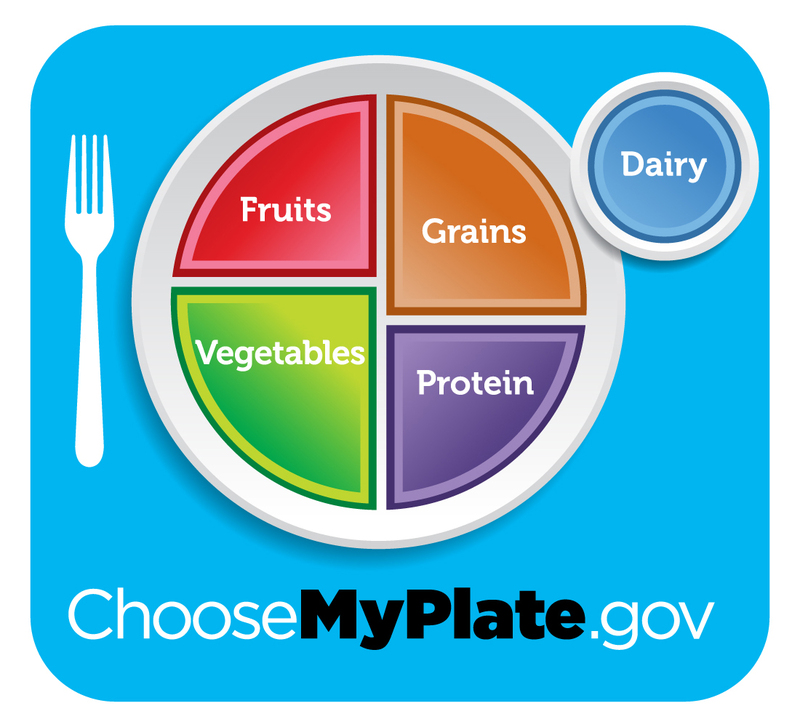 Supposedly a correction of the errors in MyPlate from the USDA, it seems to be more similar than different. The major similarity is the disdain for the intelligence of the American public. Comparing the two plates (below), they have exchanged the positions of fruits and vegetables. “Grains” on MyPlate is now called “Whole Grains,” and “Protein” has been brilliantly changed to “Healthy Proteins.” How many NIH grants were required to think of this is unknown. Harvard will, of course, tell you what “healthy” is:, no red meat and, of course watch out for the Seventh Egg. Dr. Rimm, you are recommending a diet for all Americans but even within the pattern of general recommendations, I don’t know of any experimental trial that has tested it. Aren’t you just recommending another grand experiment like the original USDA recommendations which you are supposedly improving on? Dr. Rimm, given that half the population is overweight or obese shouldn’t there be at least two plates? Dr. Rimm, I think the American public expects a scientific document. 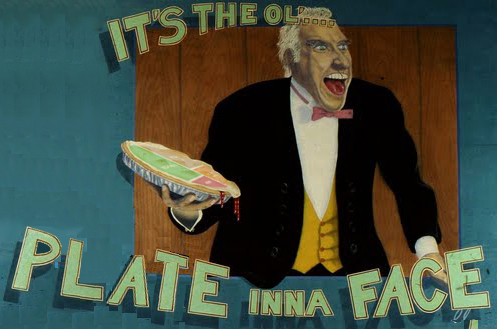 Don’t you think continued use of the words “healthy,” “packed with nutrients,” makes the Plate more of an informercial for your point of view? Dr. Rimm, the Plate site says “The contents of this Web site are not intended to offer personal medical advice,” but it seems that is exactly what it is doing. If you say that you are recommending a diet that will “Lower blood pressure; reduced risk of heart disease, stroke, and probably some cancers; lower risk of eye and digestive problems,” how is that not medical advice? Are you disowning responsibility for the outcome in advance? Dr. Rimm, more generally, how will you judge if these recommendations are successful? Is there a null hypothesis? The USDA recommendations continue from year to year without any considerations of past successes or failures. Dr. Rimm, “healthy” implies general consensus but there are many scientists and physicians with good credentials and experience who hold to different opinions. Have you considered these opinions in formulating the plate? Is there any room for dissent or alternatives? Dr. Rimm, the major alternative point of view is that low-carbohydrate diets offer benefits for weight loss and maintenance and, obviously, for diabetes and metabolic syndrome. Although your recommendations continually refer to regulation of blood sugar, it is not incorporated in the Plate. Dr. Rimm, nutritionally, fruits have more sugar, more calories, less potassium, fewer antioxidants than vegetables. Why are they lumped together? And how can you equate beans, nuts and meat as a source of protein? Dr. Rimm, looking at the comparison of MyPlate and your Plate, it seems that all that is changed is that “healthy” has been added to proteins and “whole” has been added to grains. If people know what “healthy” is, why is there an obesity epidemic? Or are you blaming the patient? Dr. Rimm, you are famous for disagreeing on lipids with the DGAC committee yet your name is on their report as well as on this document is supposed to be an alternative. Do we know where you stand? Dr. Rimm, the Healthy Plate still limits saturated fat even though a study from your department showed that there was, in fact, no effect of dietary saturated fat on cardiovascular disease. That study, moreover, was an analysis of numerous previous trials, the great majority of which individually showed no risk from saturated fat. What was wrong with that study that allows you to ignore it? *Medicineball, (colloq) a game that derives from Moneyball, in which an “unscientific culture responds, or fails to respond, to the scientific method ” in order to stay funded. One enormous change by the HSPH is that their plate looks two-dimensional whereas the government’s plate looks three-dimensional. I predict that this exciting breakthrough will have the same effect on obesity rates as the release of MyPlate. I suspect the only people who pay much attention to goverment “rules” about what people should eat are nutritionists, who then go on to lecture at their clients. Perhaps we should thus focus our efforts on reaching nutritionists rather than politicians, who are influenced by food lobbyists, or the general public, which is tired of “food truths” that keep changing. I have only limited experience but I think “reaching nutritionists” is a reach. I’m sure you’re right. But what we’re doing doesn’t seem to be working. I just read a paper purporting to show that the low blood sugar that often follows high-carb meals causes people to eat more. Their solution? Eat many small meals to keep blood sugar up. Didn’t it occur to them to suggest that people stop eating high-carb meals so they won’t get reactive hypoglycemia? Apparently not. Once it is recognized that medical advice is being given and that doctors, websites and nutritionists are responsible, not only ethically but legally, then the ball-game will change. See my previous post: http://wp.me/p16vK0-2Y I would describe my goal as trying to get some agreement and discussion before the lawyers get involved. Why did your make recommendations only for young people in a perfect health? People with metabolic syndrome benefit from carbohydrate restriction. It is a well-known fact that blood pressure drops on LC diets. Did you consider that while developing your plate? If I tell my neighbor that walking is healthy, can I be arrested for practicing medicine without a license? What if the neighbor has terminal heart failure and I say the same thing? What if I tell the neighbor that glucosamine helps with arthritis? What if I tell the neighbor to stop taking his beta blocker? Where do we draw the line? Is “medical advice” defined anywhere in law? Good research project for us. I only know about scientific expertise. The courts have ruled that you do not need to be a scientist to be an expert. Kumho Tire v. Carmichael said that the language of the Federal Rules of evidence “makes no relevant distinction between ‘scientific’ knowledge and ‘technical’ or ‘other specialized’ knowledge.” It will be interesting to check it out. I always find it disturbing that the government has the resources to disseminate information in their viewpoint, and the medical community who support alternative hypotheses are left to publishing in journals that the general public have no access to (unless they want to pay $20 to download each article). And certainly, if the government says something is true, it really must be! Back in November, 2011, I attended a lecture at the Boston University Sargent College on the USDA’s My Plate Initiative, which showcased all the different ways they came up with to put the USDA’s “dietary guidelines into action.” Delivered by Robert Post of the USDA’s policy and promotion department, it was nauseating, to say the least. It’s also very dangerous, I think, given the poor state of science in the medical community (aptly pointed out by Gary Taubes). What’s more disturbing is that the group plans to mandate how school lunches are served based on My Plate. The entire program is meant to improve the health of the population, but I was shocked when Post admitted that they weren’t sure how to measure success, and asked for help from the public (specifically, to be “community partners”). “We’ve got the best science behind our recommendations.” <– that's a laugh. My question to Post, challenging him on the high carb, low fat paradigm, sugar, and how it relates to My Plate (1:02:40). Also the science the USDA tends to ignore. His answer is telling. You missed “this is not rhetoric….” A couple of meetings are planning to have panels which discuss these issues with the USDA, ADA or other organizations. The ASBP-NMS meeting in Denver is one. The Ancestral Health Society meeting in August in Boston is another. We’ll see what they have to say. The Nutrition Mess. Lessons from Moneyball. Who says you cannot speak of reason to the Dane and lose your voice? Who says two wrongs don’t make a right?